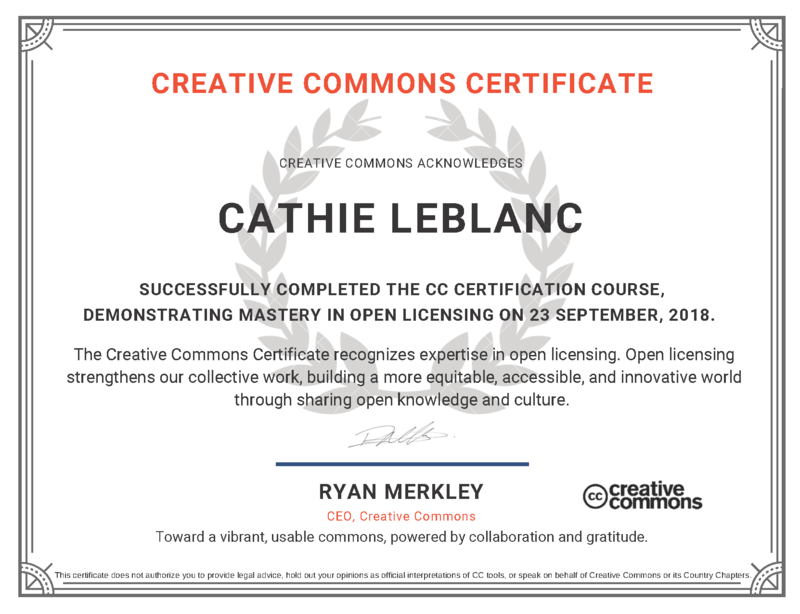 I completed the Creative Commons Certification class last month and received my certificate yesterday. I strongly encourage anyone interested in open educational resources, open pedagogy, or alternative licensing for creative works to complete the course. It is a ten-week, online course and, although I thought I knew a lot about copyright and Creative Commons licensing, the course is jam-packed full of interesting and useful information. The course helped me to more clearly articulate why I think “open” is so important. More information about the course can be found here and all of the course content is freely available under a CC-BY license here.